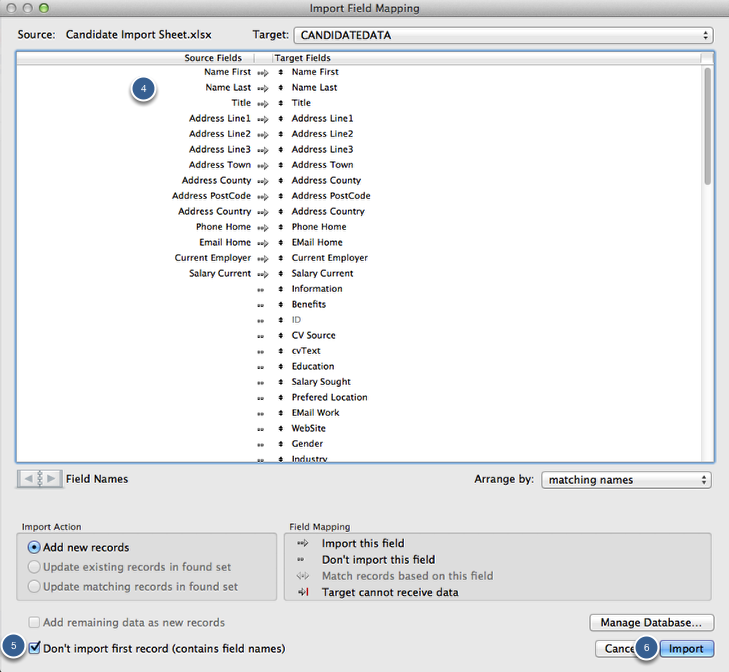 This article will show you step by step how you can import new contact data into HRS from an import sheet. 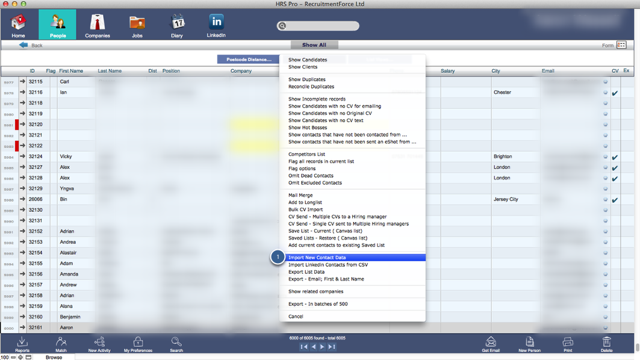 These import sheets can be obtained by contacting the support team. 3. 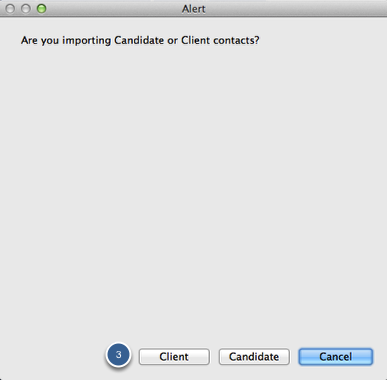 Select whether or not to import a client or candidate. 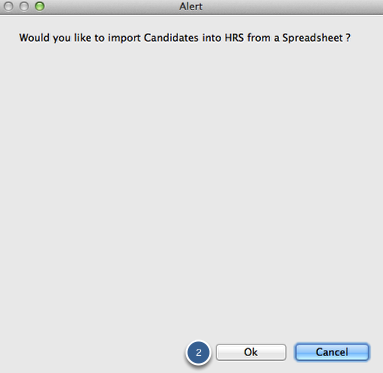 Please note that a different spreadsheet is required for each of these imports. Please speak to the support team to obtain a copy of these. 4. 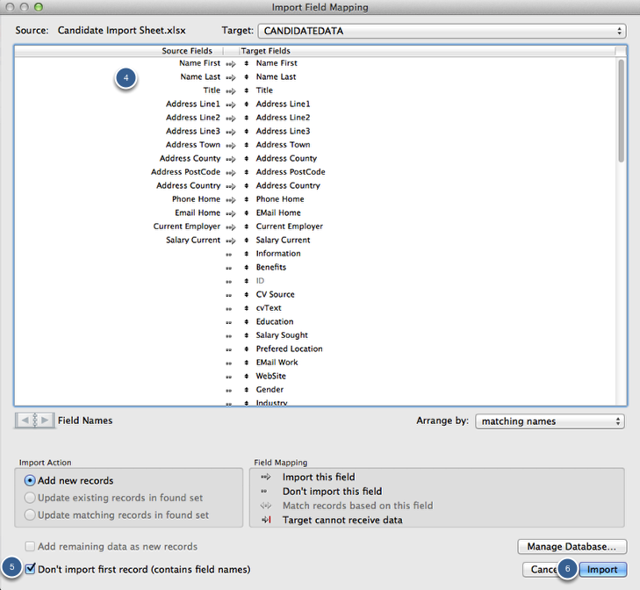 Ensure that the field names match up. 5. Ensure 'Don't import first record..' is ticked. 6. When ready click the import button. 7. 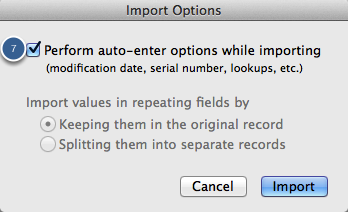 Ensure 'Perform auto-enter option...' is ticked and then click import. Once complete it will inform you of the success.